Yesterday early afternoon I received a phone call to notify me of the death of a dear friend. There is always an interesting surge of emotions with the death of a person, especially one you feel such a kinship with. Somehow though, I couldn’t help but feel a total sense of relief and release. Terry McCombs was born in Rupert, Idaho and grew up on the farm outside of Rupert. He graduated from Minico in probably its most notable time. He went to school when Minico was known nationally for its band program. The high school was still under 10 years old and Southern Idaho was in the Post-war boom. Some of his mentors both in choir and band were to forever influence his life. There was something about the farm soil and the passion of music that set Terry on his future. I met Terry for the first time in 1997. I had been asked to accompany a friend, Elena McBride, on the piano for a vocal number she was doing. She wanted me to meet her vocal coach, Terry McCombs. There was a McComb’s in my grade who I knew and one just younger who was in choir and who I knew more through friends. These both turned out to be Terry’s niece’s. Our meeting took place in Terry’s childhood home where his mother still lived with Terry’s brother’s family. We sat there at the piano and I played perhaps a few chords when Terry asked me if I sang. I confessed that I had no singing talent whatsoever and had never really tried. He took over at the piano bench and then began to have me try a few exercises. He attempted for hours to get beyond my modesty (my attempt to cover a poor voice). After several hours, Elena’s lesson turned into an reworking of my thinking concerning singing. For the most part of which he was very successful at rewiring. Afterward I remember Elena being upset that her lesson was all about a lesson for me. Terry had me commit to come to a lesson with him in a studio apartment he was using within about a mile from his home. It was a little bedroom in the loft and a little living room below with a couch and piano. I seem to remember a small kitchen and bathroom in the entry level. We descended into the little living room about a week later and he sat on the couch and I sat in the chair. Terry always had it a bit on the cool side but it definitely was cozy. He then spent about an hour teaching me the doctrine of singing. I remember him offering a prayer that seemed to turn my heart to complete mush. I was so overwhelmed at such a powerful experience. Coming from an inactive LDS home, I had no real clue what it was I was experiencing. I had prayed before, and even seen prayers answered, but never had I experienced what I did that day. Heaven literally descended and engulfed us that day. After teaching me on the doctrines of the restoration of all things and of singing he then went on to teach me what he knew and how he knew it. He bore powerful testimony of what it was he was teaching that day. I remember openly weeping for the joy that engulfed my heart and how I recognized my life changing before my very eyes. My very nature was changing in that room. We then went to the piano and he began to unravel to me some of my physical nature. I admit I understood more the nature of my throat, singing, and of life then than at any point in my life, probably even since. It was interesting how he always framed everything with a view for eternity and the building of Zion. What came from my mouth, from my very heart, was so beautiful we both wept. Terry sang a song for me that even today haunts me with how beautiful it was. He then sang a song from Rigoletto that was simply amazing. He sat at the piano and I sang a song that day which I have not been able to sing since. It haunts me how beautifully I sang and it kills me I have not been able to sing like that since. There was such an outpouring of the Spirit. I do not know if I can ever share what happened that day. The gifts of the Spirit were present and angels ministered to us. We met many, many times again in that little elevator to the heavens. Sadly, I don’t know what happened after a couple of months. Whether it was my pride or influences in his life, but it began to falter. We started meeting again in his parents house and doing lessons there which were interrupted and never of much value. We then started meeting in his home, the old out garage converted into a studio/living room connected to a trailer. It was never quite the same. I really don’t know why to this day. My Senior year at Minico brought the musical Seven Brides for Seven Brothers. I don’t remember how many lessons before the play I had with Terry but I had such a zeal with singing now I auditioned for the play. I had been singing in the choir now for a little while. I totally bombed the audition but somehow I was still put in as one of the brother’s. Honestly, I did so poorly I didn’t know if they would let me even be a dancer. That is how badly I auditioned vocally. I could never translate how I could sing in lessons to doing it in front of other people. I was terrible when anyone else listened. Even the State Solo Competition I sang for and did so poorly I didn’t even finish the song. The choir helped me some. Good thing it was an open class. Terry helped a number of us quite a bit with our singing for that play. I improved considerably under Terry but never could find the voice I had in our lessons on stage. It drove me completely crazy to know how heavenly it could be and it just never translated outside the studio. Our lessons continued and I learned a great deal. We continued to cover the history of music and the mechanics of the voice. All of which I still feel like I have a pretty good handle since I was learning them from a spiritual perspective. Minico ended and my whole life had now become engulfed in music. I had my musical training from band all the way from 6th grade. I could read and understood basics of music. I had taught myself a half dozen new instruments in high school and I wrapped up high school putting on finishing touches to play the piano in the mission and learning the master the voice. I went to Utah State knowing how much I loved music but I would not be pursuing a degree in anything related to it. It was completely my hobby. I went home at least every couple of weeks. Due to situations at home I would either stay with my Grandma or I would stay with Terry. We often spent all Friday night in a lesson. It was something about the two of us that somehow we connected and heaven was with us. I don’t know if he had these experiences with others. I know he had in the past but I sensed it wasn’t happening with others at the time. He often expressed his frustration with me at how he wished others wanted to learn just for the sake of learning rather than trying to do it for publicity, pride, or money. He knew I had nothing to pay him and I wasn’t about to ask my parents for more money since they were helping me through school. I think that is one thing that changed later. When his situation got a bit more desperate and he needed money I had nothing to offer and he was required to spend his time teaching paying students. The time came for the mission and I was prepared. My own research and experience on my own time had gained me many experiences with the Spirit. 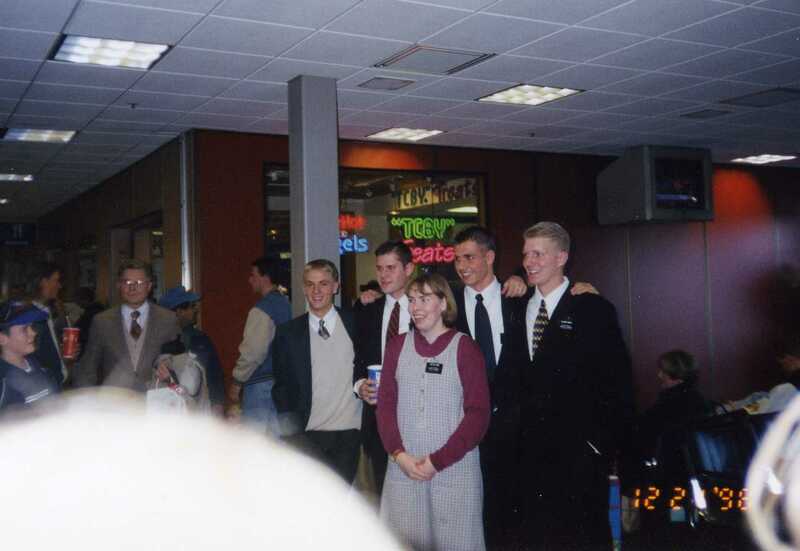 I had come to gain a personal testimony of the Bible, Book of Mormon, Prophets and Apostles, Priesthood, and a bunch more. I think one thing that was unique is that Terry had opened me up to a very different side of religion. It wasn’t just the knowledge of it or doctrines, but it was the personal experiences with it. Through college our lessons moved from the vocal aspects to mostly discussing religion and sharing experiences. 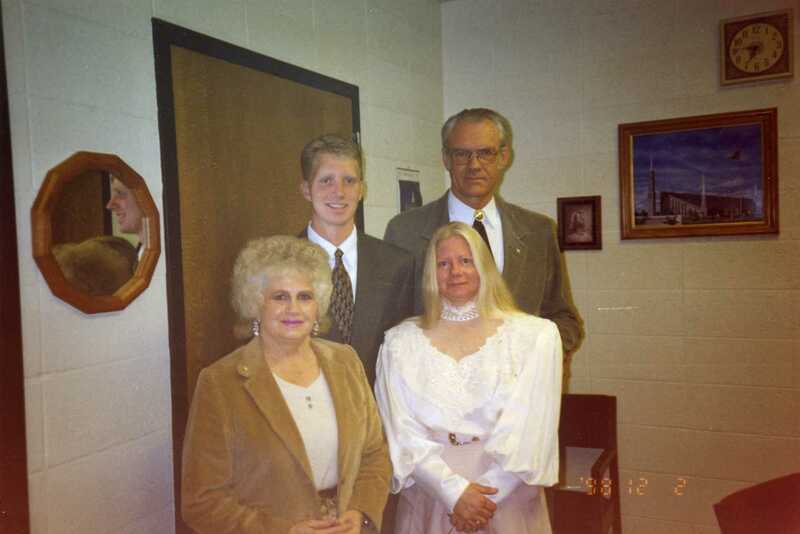 I had obtained many new experiences with heaven and Terry had a wealth of them to share as well. I think many thought I was a bit crazy with how literally I was experiencing my associations with the other side of the veil but Terry always understood. I remember my Grandma would get so excited when I told her about some of the experiences. She would tell me of some of her own. Mom I instantly recognized was out to kill or denounce anything of which I was experiencing. She quickly would tell me how it was a cult and I was being brainwashed. When I would confront her about how literally some of my experiences were she would chalk it up to hallucinating or something else. Terry and Grandma were two who understood. It was such an interesting road. 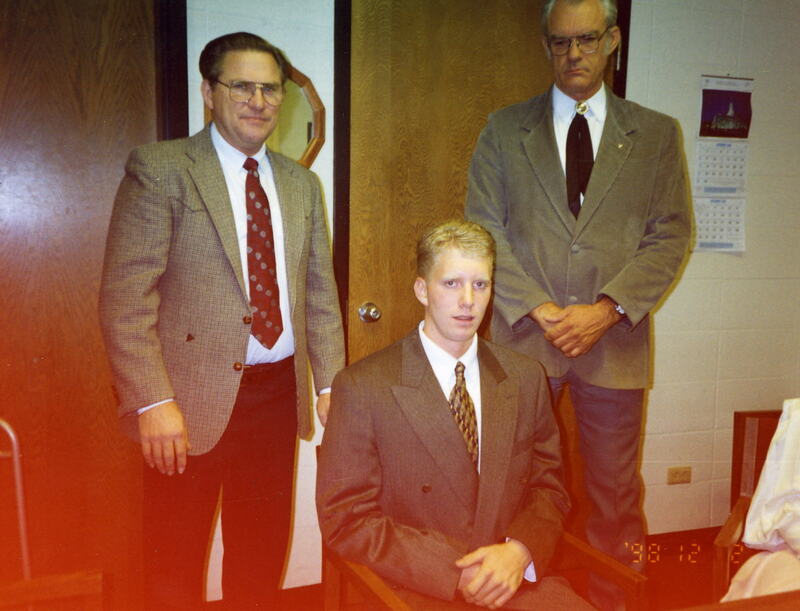 My roommates at college I don’t think knew how to take what was happening. Some were very understanding at the beginning, others finally warmed to it. 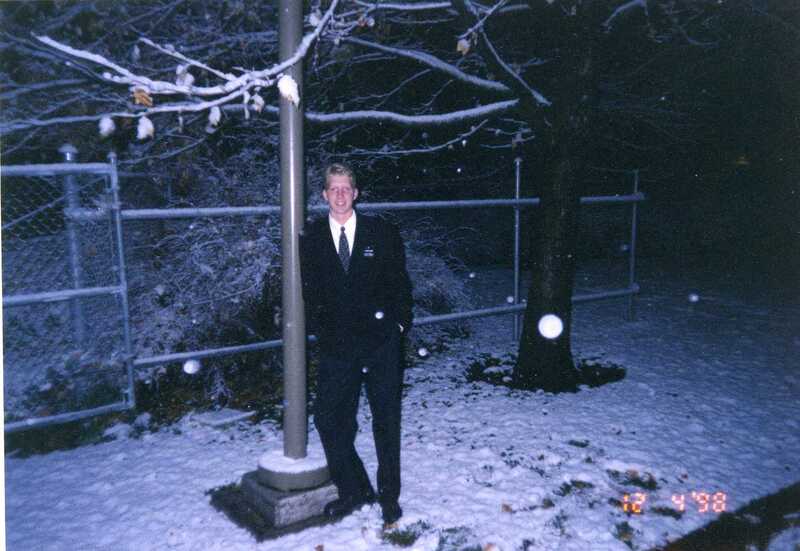 By the end of the school year at Utah State we had all experienced some things together. The turmoil and emotions of the year were difficult with my parents divorcing and the changing face in so many relations. The roommates weathered all those and were very understanding. But the thing I remember most is the little spiritual times I had with each of them and interestingly have bonded each of us together since. All four of them we continue to feel very closely united even despite distance and time. 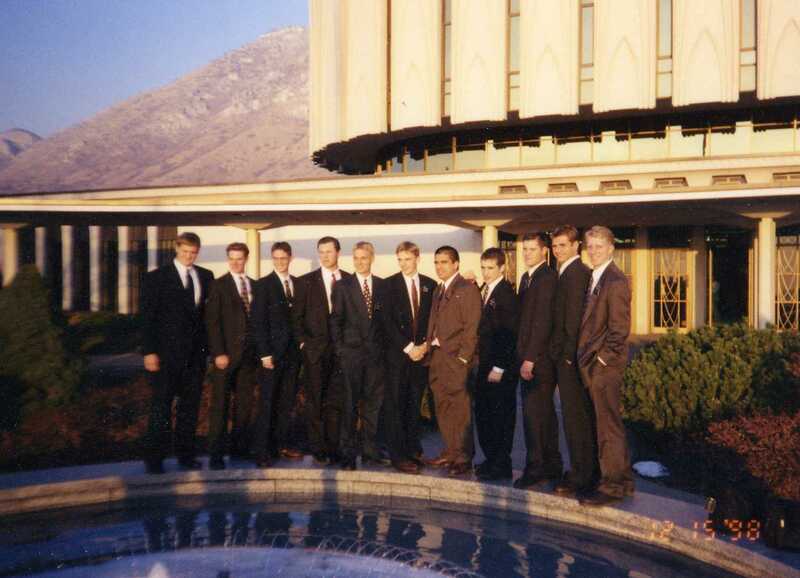 Terry offered to have someone provide the musical number for the mission farewell. He did and I was very grateful. Surprisingly, he offered some money to help pay for the mission that makes me blush that he would give it to me. He never wrote a letter, I don’t think I ever wrote him a letter during those two years, but we had communication. I remember one night I had a dream of a phone call to Terry while I served in Eccles. It was after my Grandmother had passed away. We chatted about a few things and I told him of my experiences with Grandma after she passed away. He told me of some of the experiences he had with his own father after he passed away. It helped confirm what I was experiencing. In the dream he told me to get a copy of Parley P Pratt’s Autobiography and to read it. 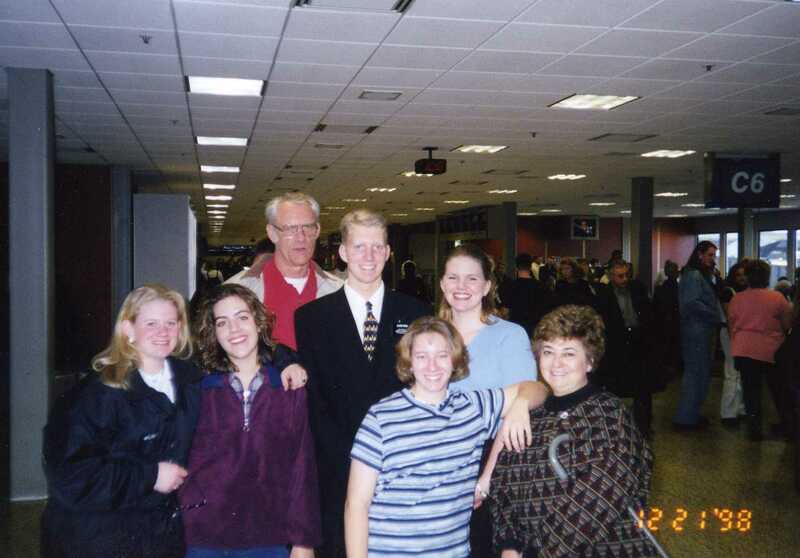 After I returned home from the mission and had been home a few weeks, Terry called me. What I had totally passed off as a powerfully spiritual dream came very close to home when he asked if I enjoyed Brother Pratt’s book. That is just the way Terry was. 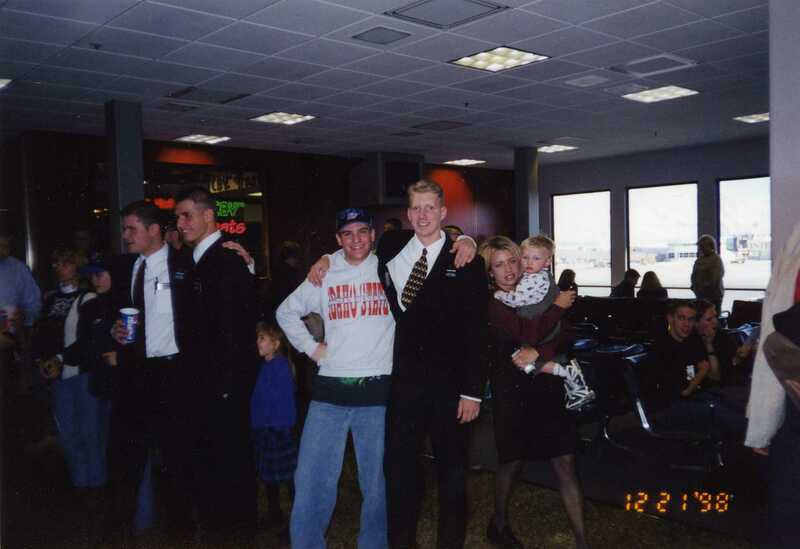 Terry asked me to come to visit him in Branson, Missouri after I returned from the mission. I went to visit him in a heartbeat. Terry wanted to start lessons again and asked me to move to Branson. I went back home and made arrangements and headed out for Missouri. It turned out to be a wonderful experience. I thoroughly loved my time while I was there. He mentioned that I was there for two purposes: To learn to love in a way unselfishly and to gain some great experience to carry me throughout my life. He proved to be very prophetic on both accounts. I learned to love in several ways which hurt terribly. I definitely learned some lessons there. 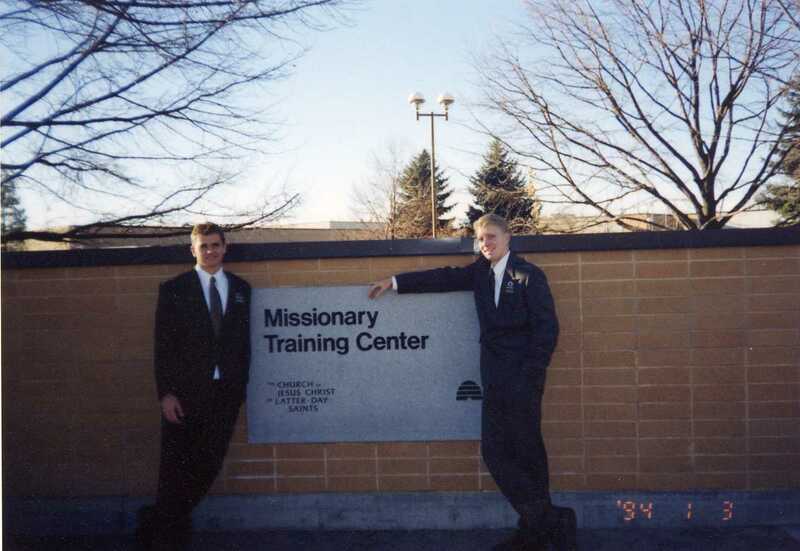 I learned some valuable lessons in management, the corporate world, missionary work outside the mission, and family history. Terry and I both lived under the same roof with several other families the first year I was there. It turned to be a very wonderful experience. I had three families I could call my own in the same house. Each of them taught me some very important lessons. Without going into details, it proved to be a time I still find myself thankful for in prayer. I remember one night I had a dream where I had a dream in answer to a prayer. I woke up afterwards and immediately went to knock on Terry’s door. At 3:00 AM in the morning I recounted to him my experience and we both wept for joy. He shared with me an experience where one of his prayers had been answered by dream just nights before. This was the type of connection I had with Terry. Interestingly, it is how merciful heaven is in dealing with us. Terry definitely had a personality. Some characteristics I will openly admit drove me crazy. His little antics sometimes were detestable at how he treated others. Even me a couple of times. At other times I could not help but feel sorry for him with the struggles he had on so many fronts. He had a temper. He had his bias nature. He had all his imperfections. He was not a physically beautiful man by any real means. However, his heart was something different. I sat in on many lessons and it was interesting how completely different some of them were. Some of them it seemed he was trying to impress them so he could gain their trust. Some it seemed he had to debase himself to get the heart. Others it appeared he had to bully them. Every lesson was very different. I never understood if he was catering to the personality of each or what it was. My lessons were very direct, even almost unspoken at times. It was not uncommon for a look to communicate everything. 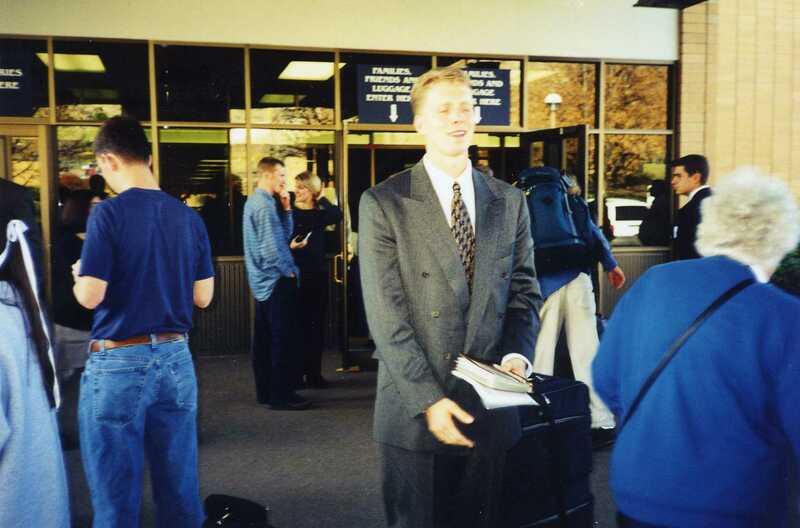 When it came time for my leaving Branson, we both knew. I only saw Terry a couple of times after that. In fact, I think it was only twice after. Once was in Utah and the last time was a year ago as Amanda and I drove on our way to Virginia. We stopped and spent several hours with him. I spoke with him on the phone for over an hour just a month or so ago and he was in good spirits. It was with a bit of shock I received the phone call telling me he had passed the night before. Somehow though, it seems like it would be the way Terry would do it though. My first reaction was that little scoundrel did this on purpose. But then I sensed a peace about the whole thing and it was meant to be. In looking back, Terry always introduced me to people as the one with a pure soul. I don’t know if it is true or not, but I always wanted to be a little better with that title. Terry always had people who either loved or hated him. People somehow switched those sides often with him. I never understood why. But something about the man endeared people and also brought on some of the strongest criticism. But in the end he usually weathered it well. I haven’t had any experiences with Terry spiritually for a couple of years now. Perhaps we just grew apart. But now that he has passed, I anticipate something small, at least for a temporary good bye. If not, this is my little pushing off the ship of a good friend. I will see you later mate. I love your soul.